NBA free agency is always a whirlwind. The 2015 edition is no different. We may only be in the midst of the second day, but if we learned anything from Day 1, it’s that organizations are not afraid to throw down the big money. According to ESPN Stats & Information, on just Wednesday alone, NBA franchises agreed in principle to pay over $1.4 billion in player salaries. That’s a lot of dinero. And there’s plenty more to come. Not only are things just getting started, but that figure doesn’t even include Anthony Davis’s soon-to-be richest contract in NBA history. However, this is the kind of world we live in right now, and with the salary cap going up in 2016-17 on account of the new television deal, teams are trying to lockup individuals on a discount. Yet, just because organizations are looking to ball on a budget, that doesn’t mean these these players aren’t getting paid handsomely, to say the least. With the constant influx of breaking news and overwhelming amount of reporting, it may be difficult to keep track of all the wheeling and dealing taking place. As a result, we’ve decided to make life a bit easier during this trying time. In our humble opinion, things run a lot smoother when they’re curated, organized, and laid out in a nice, coherent fashion. So that’s what we’ve decided to do with the period of player shuffling within the National Basketball Association. Since the league likes to split teams up into divisions, that’s exactly how we’re going to breakdown this 2015 free agency period. With that in mind, here’s Your Cheat Sheet to the Central Division. Following another relatively early exit from the postseason, the Chicago Bulls front office was poised to make the chances needed to get this talented club over the hump. The biggest move was to dismiss long-time coach Tom Thibodeau and replace him with former Iowa State head honcho Fred Hoiberg. The thought process behind this decision was that Hoiberg was better equipped to install a more fluid and free-flowing offensive system. However, the only way to insure this is a smooth transition, is to keep the scorers in Chicago. This is what the Bulls have done so far in free agency. 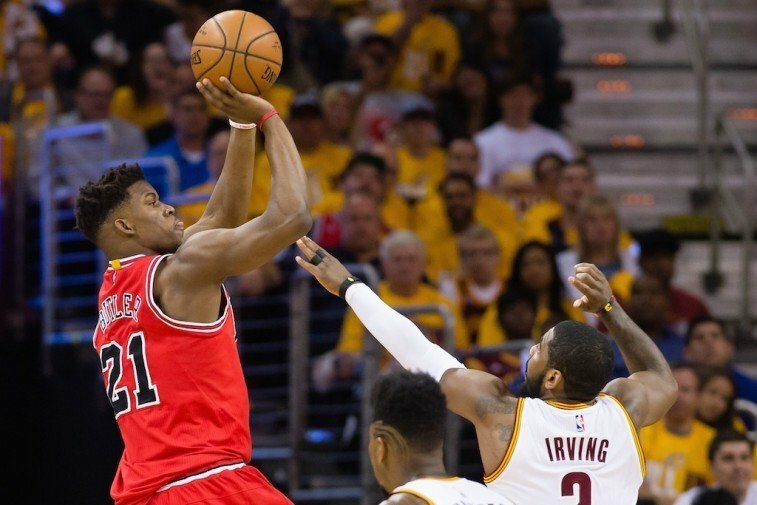 Jimmy Butler (above, left) proved to the entire NBA that he is a legitimate player. His 20.0 points per game this past season was tops on the team and it ultimately led to his first-ever All Star Game selection. Chicago knew it had to keep the NBA’s Most Improved Player on the roster at all costs. Fortunately, by reaching an agreement on a max contract, the Bulls have ensured the 25-year-old will remain with the club through the 2019-20 season. The Milwaukee Bucks certainly surprised the National Basketball Association by finishing the 2014-15 season with a 41-41 record and earning the sixth-seed in the Eastern Conference. In his first year on the bench, Jason Kidd took this young team and helped guide it in the right direction; one that included winning. Looks like that trend is continuing in the early going of the free agency period. By agreeing to a five-year, $70 million deal with versatile forward Khris Middleton, the Bucks made sure a vital piece of the franchise’s present and future feels taken care of. The third-year pro out of Texas A&M showed lockdown ability on the defensive end and displayed an offensive skill-set that saw him average 13.4 points on 46.7% shooting for the year. This was a smart deal for all involved. If you’re searching for a sign that the Bucks are on the up and up, look no further than the announcement from Yahoo Sports that 25-year-old big man Greg Monroe (above, right) has agreed to terms on a three-year, $50 million maximum contract. 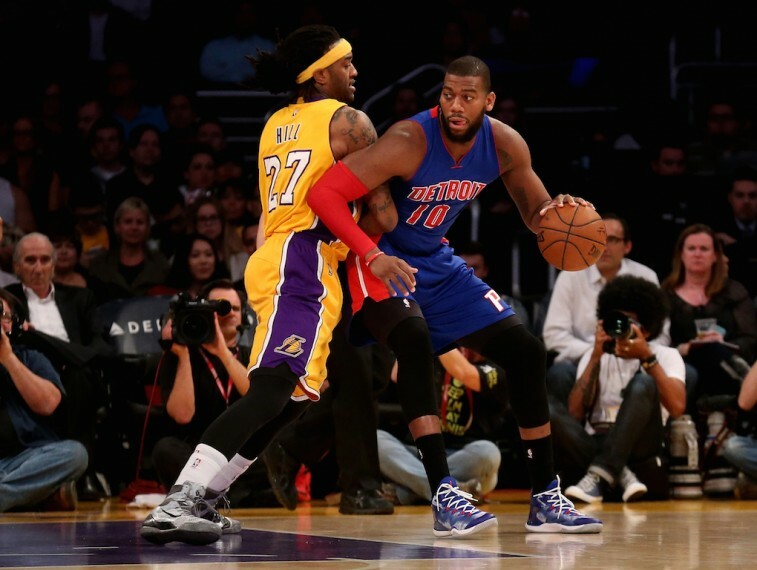 Monroe, who averaged 15.9 points and 10.2 rebounds last season with the Detroit Pistons, chose Milwaukee over other suitors such as the Los Angeles Lakers and New York Knicks. Perhaps this club is actually more than just its sweet new uniforms. Perhaps it’s time to Fear the Deer. If a veteran is going to throw that kind of shade at a franchise, then it better be prepared to make some moves during free agency. On Thursday, the Pacers did just that. As reported by Marc Stein and Chris Broussard of ESPN, the dynamic shooting guard and the Indiana Pacers have agreed to terms on a four-year, $44 million deal. 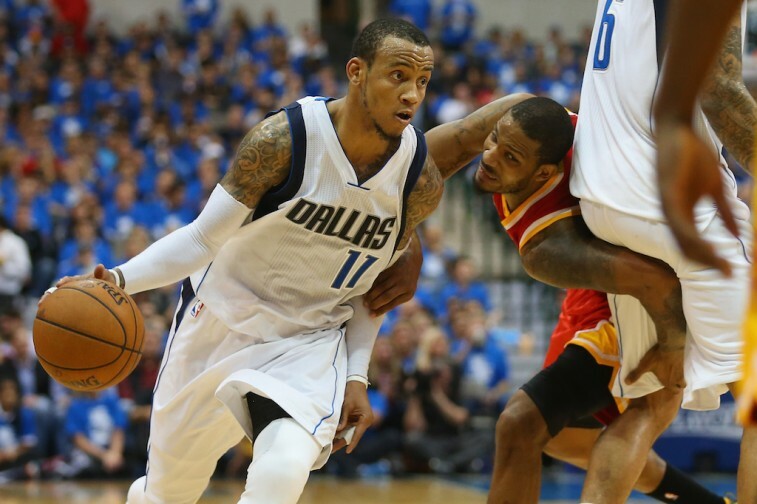 Monta Ellis (above, left) led the Dallas Mavericks in scoring last season, averaging 18.9 points per game on 44.5% shooting from the field. With this agreement in place, it’s clear the Pacers are prepared to pick up the tempo on the offensive end. Ellis’s scoring touch should go a long way. 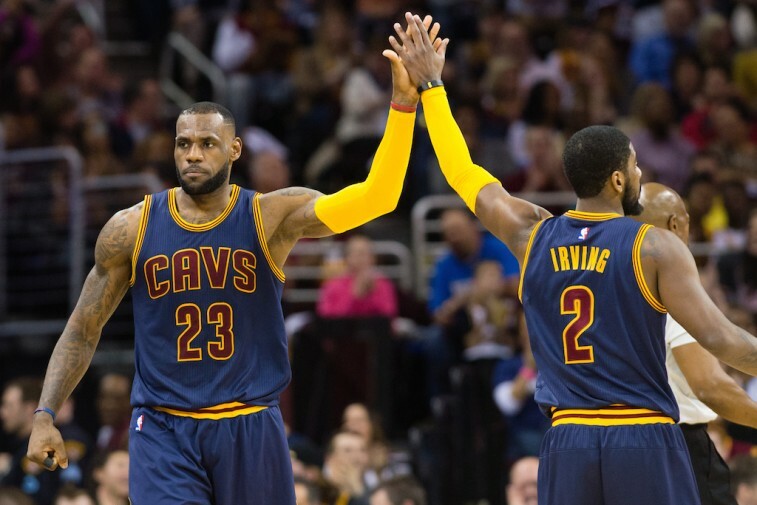 The Cleveland Cavaliers made an improbable run to the 2015 NBA Finals on the back of LeBron James and his historic performance. And while they were eventually bested by the Golden State Warriors, it became clear that some of their most important pieces had already been sporting Cavs uniforms. As a result, the most important thing Cleveland needed to do this offseason, was take care of their own. At present, the Cavaliers are nearing a deal with rebounding extraordinaire Tristan Thompson and reports suggest it will exceed $80 million over five years. That’s smart business right there. Here’s a look at more of the same. 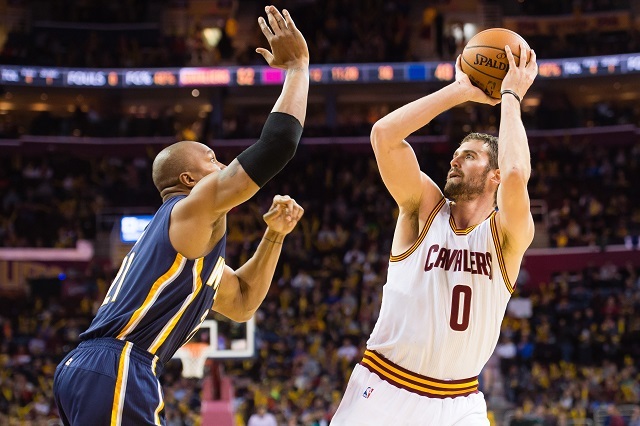 Most believed power forward Kevin Love (above, right) was going to bolt Cleveland on account of his reduced role this past season. However, as he announced in The Players’ Tribune, this organization still has “unfinished business.” The Cavaliers and Love have reportedly agreed to terms on a max contract of five years, $110 million. Now King James has his stretch-four back and Love has shown his commitment to winning. This was a big signing. Another key piece of the championship run, Iman Shumpert, has agreed to re-sign with the Cavaliers on a four-year, $40 million deal. His ability to knock down the three and guard the perimeter is invaluable in today’s game. He’s versatile, streaky, and someone they couldn’t afford to let slip away. Plus, there are very few players in the NBA who can pull off his haircut. We don’t care what you say, that means something. All statistics and information are courtesy of Basketball-Reference.com, ESPN.go.com and NBA.com.